Not only that, they are dropping one of the most scenic and emotion-inducing clips of the year. Pre orders for the album are live now, with the single available for streaming and purchase from As A Rival. Filmed over two days along one of the worlds most scenic coastal drives, The Great Ocean Road, the What We Got clip explores the demands of the road. As relationships struggle against the challenges of distance - both emotional and physical - how do you manage to stay close to the ones you love the most? Griefers is a gaming term used to describe those who play alongside you only to turn against you, cause you pain and hinder your progress. 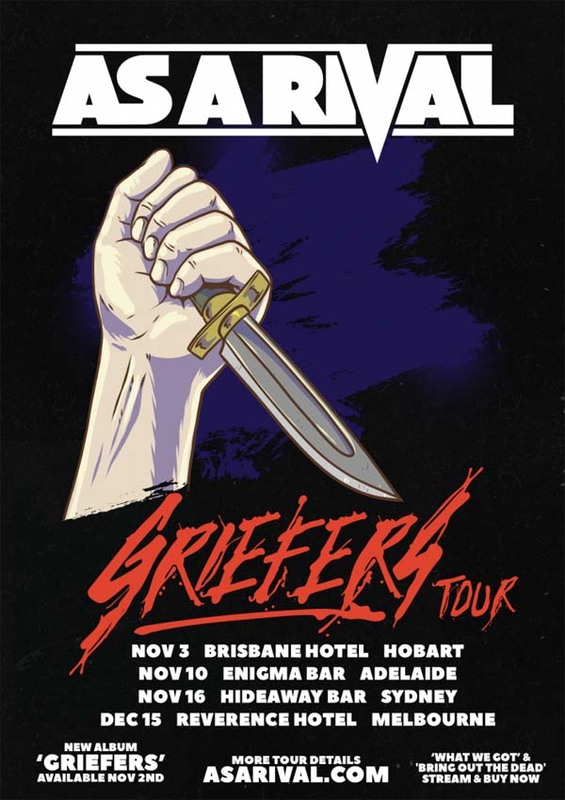 Pete Cerni, vocalist for the group, says that "Griefers encompasses the hurt you have to face to crawl out of the mess and deal with the aftermath. Life is about the fight for what you believe in. Griefers acknowledges these trying times - the times when you do fall but that it’s ok, as long as you climb even higher as a result." Recorded at Homesurgery Recordings, the album was produced by Tom Larkin (Shihad) with Sam K Sproull and Jon Grace. The sessions started out with a challenge - complete 50 demos within a two month period. A challenge that was met with gusto. 50+ songs later having explored a myriad of styles touched on in previous releases, these sessions enabled As A Rival to hone their craft and evolve their sound. The result: a 12 song punk rock deluge, tackling themes of betrayal, deceit and defiance. Pre order As A Rival's new album Griefers for release Fri 2nd November from As A Rival.